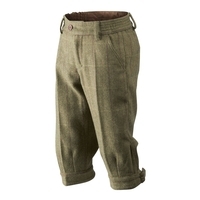 Breeks are a quintessential part of the traditional English shooting outfit, stylish and yet functional trouserwear with plenty of technical features such as breathability and waterproofing combined with stylish materials such as tweed make these the perfect accompinament to a day in the field. 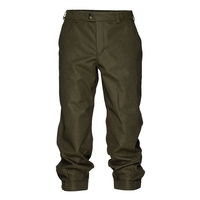 Combine these stylish breeks with a matching shooting set from top shooting clothing brands like Seeland, Harkila and more. With breeks for men, women and kids. Last pair! Size Age 10 only!